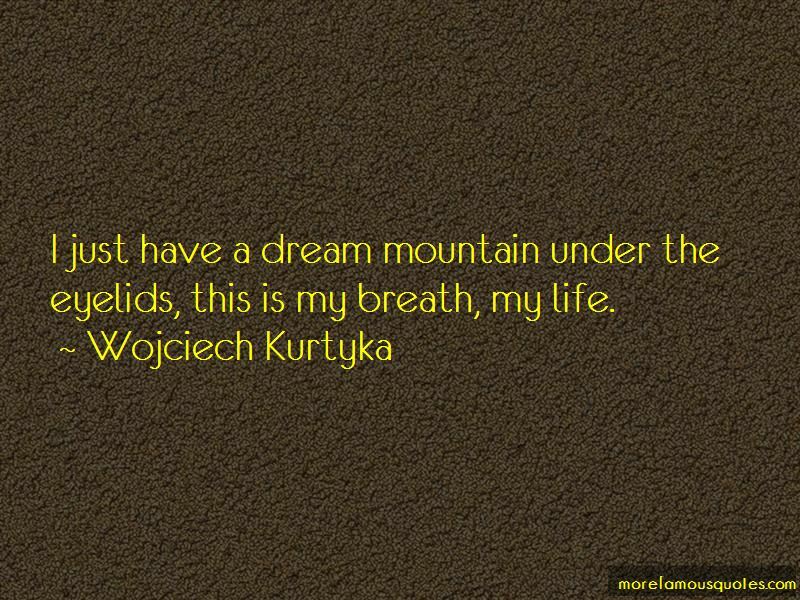 Enjoy the top 24 famous quotes, sayings and quotations by Wojciech Kurtyka. The man coming back from the hard mountain trip is a wiser being, calmer and radiating inside. I'd say momentary liberated. Great effort, fear and suffering sweet all the worthless chaff out of us. I just have a dream mountain under the eyelids, this is my breath, my life. Every type of evil we've got in us is the result of that one true illness of the human mind - that is, of being self-centered. I see one single suitable role for my life's work: for it to be a gift to others. In this way the climber faces his second deadly threat. The first is naturally the risk of killing the. Second is immersed in the deceitfulness of mental and believing that you are worth as much as the public image. 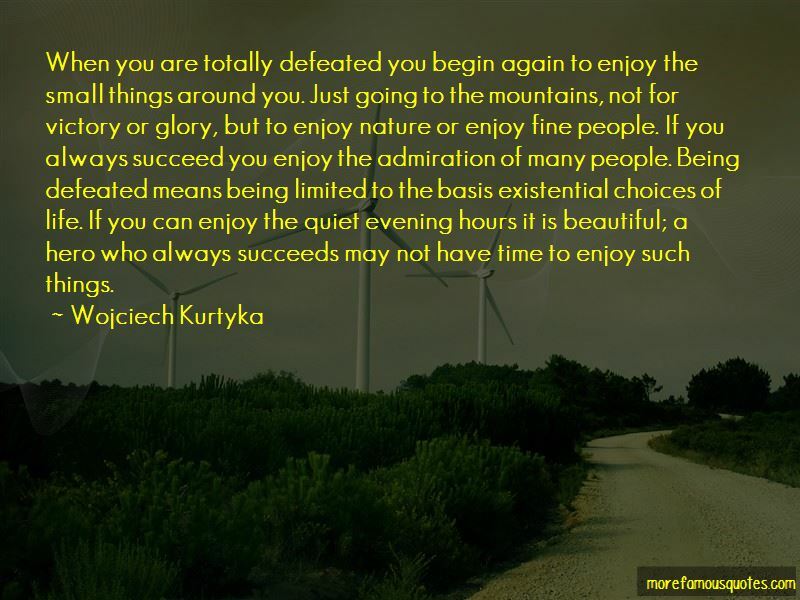 Want to see more pictures of Wojciech Kurtyka quotes? 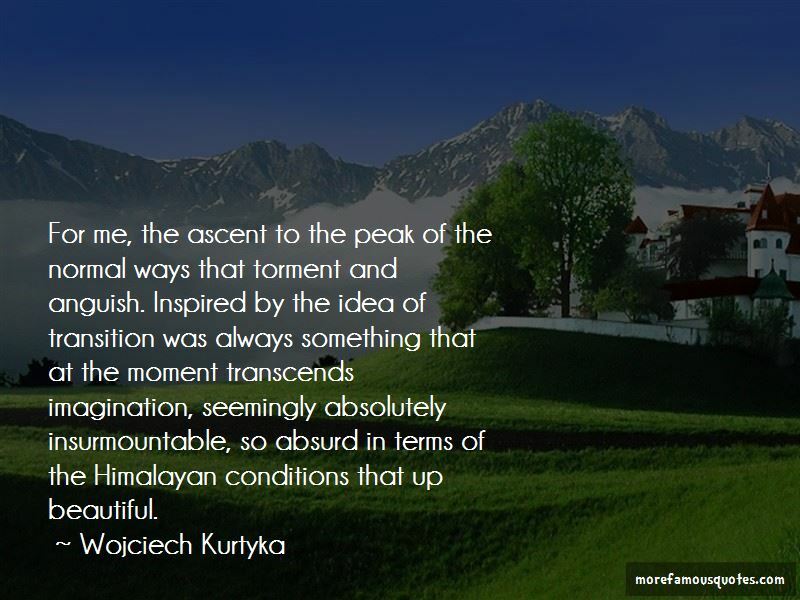 Click on image of Wojciech Kurtyka quotes to view full size.